By Mustaza Mustafa in Social Media. Updated on November 10, 2017 . Would you like to experience Instagram on the Web? 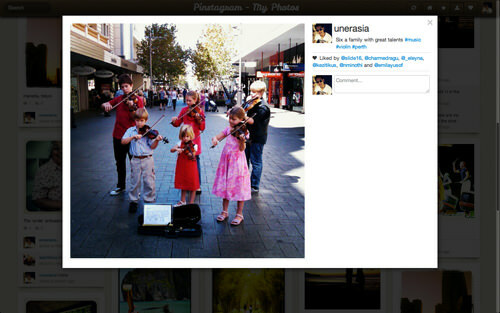 Not just that, what if you could browse beautiful Instagram photos in a Pinterest-style layout? 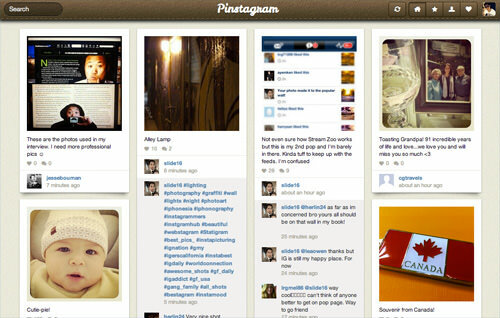 Pinterest and Instagram are two much talked about web and mobile applications in the past few months. While Pinterest allows you to ‘pin’ images found on the web, Instagram allows you to share your creative photo collections only on mobile. There are a number of web services that allows you to download and browse Instagram photos from your browser, but if you are talking about browsing with a seamless experience and a very responsive web presentation, you will definitely fall in love with ‘Pinstagram’, a new web service that combines the Pinterest experience and pinning feature, with your Instagram account. 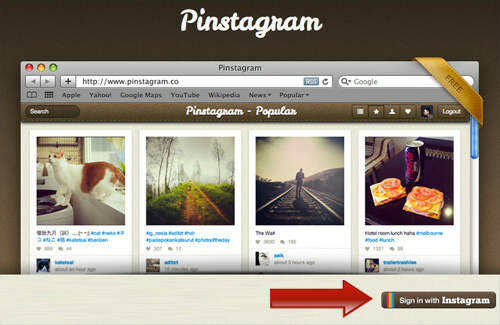 Pinstagram is said to be a work in progress, but you can already start using it with your Instagram login. Not only can you get to browse creative photos, you can also pin to Pinterest, like or comment on Instagram, and follow new users you found on the site. What’s the hold up, let’s get started with Pinstagram already! 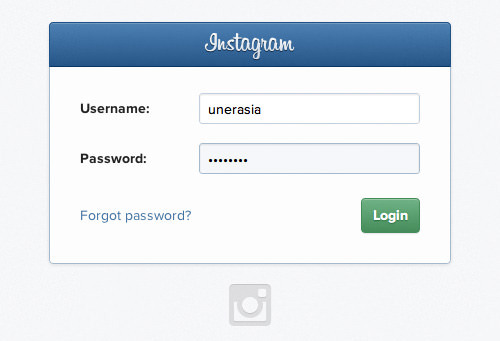 Enter your Instagram login details and click Login. 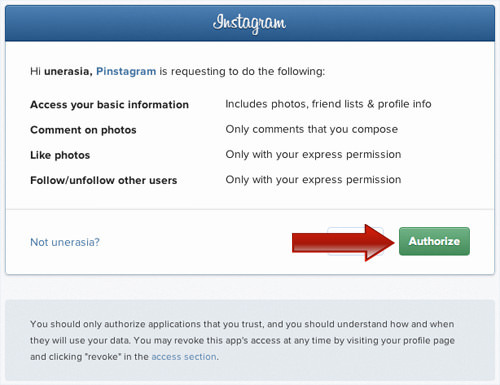 Click Authorize to allow Pinstagram to access your Instagram account. Ta-daa! 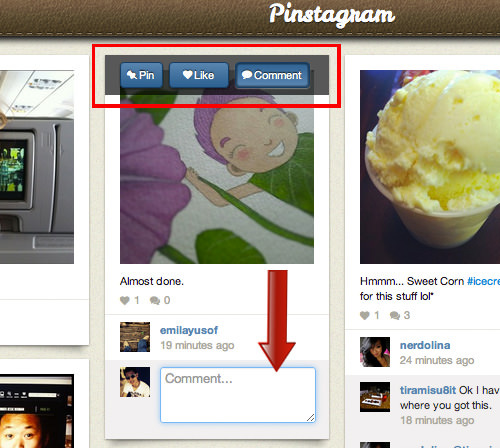 Now you are at Pinstagram’s front page, and browsing Instagram in a Pinterest-like layout. 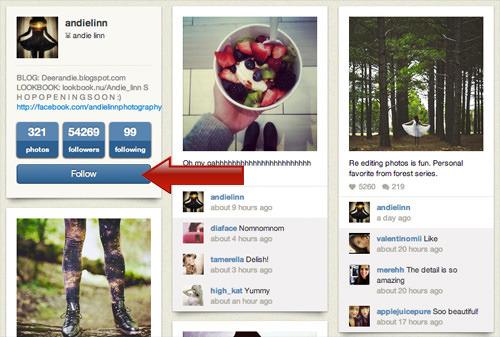 At the top right corner of the screen, you will see 5 main buttons to refresh and navigate around Pinstagram. The navigation will bring you to ‘Home’, the ‘Popular’ page, your own collection page as well as your ‘Likes’. 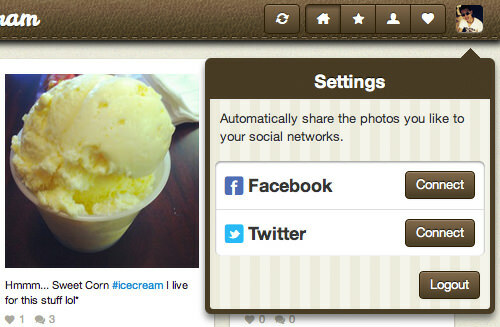 Click on your profile thumbnail to connect your account with Facebook and Twitter or to logout. To comment on a photo, ‘like’ on Instagram or ‘pin’ to Pinterest, just hover your mouse over any photo to see the options. To view a photo in its original size and view other details, click on the photo and a light box will appear. You can also leave a comment on this page. To follow Instagram users directly from Pinstagram, simply click on any username to go to their collection page, and click on the ‘Follow’ button bellow the profile details. The Pinterest-like layout may have been used by too many websites and applications lately, but to experience Instagram in this kind of layout is just great, especially when you get to use all features both the original Pinterest and Instagram have to offer. Pinstagram is free to use, so browse safe!